Jane and Grant Collis-Latchford of Brunswick have thoroughly enjoyed their adoption experience which began six months ago. “It’s been quite the journey so far, but a good journey,” said Grant and Jane. The couple had been searching for a dog to help keep them company and bring back happy memories of their own childhood pets. Buffy and her sibling Astro were both rescued by a Lost Dogs’ Home Ambulance driver in late 2009. Looking very thin and straggly, both were bearing the signs of street life. New owner Jane recalls her first encounter with Buffy: “When I first came across Buffy, I was shocked by how thin she was. You could see her ribs and she looked very sad”, said Jane. Although it is now a few months down the track, Jane says she can still see some of the sadness in Buffy’s eyes. “She’s getting better and warming to us and everything we do, but you can still see some hints of the life she used to have in the things she does. For example, when she first relieved herself in the house, she stood there shaking and looking terrified, obviously expecting something horrible to come,” said Jane. “It brings a tear to your eye”, said Jane, “that a dog can be treated so badly that it’s scarred for its life”. However, Jane and Grant remain determined to turn Buffy’s life around – and are having a great time doing it. 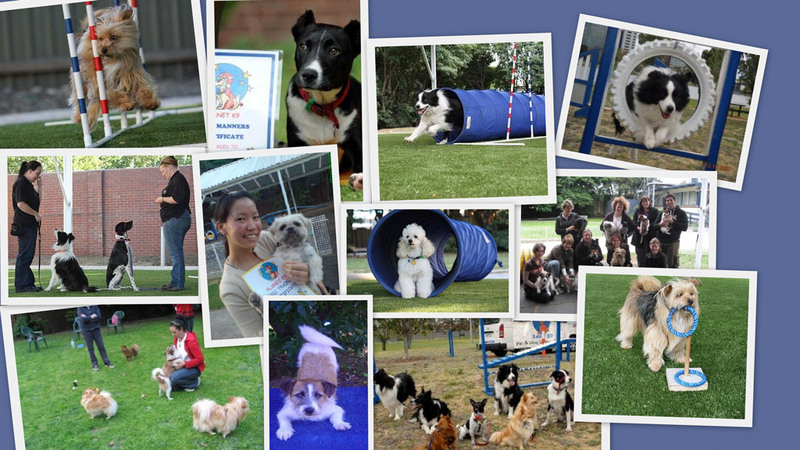 They’ve been taking Buffy to a special ‘Small Paws’ playgroup run by at The Lost Dogs’ Home. When puppies and dogs are adopted from The Lost Dogs’ Home, all new owners are offered a complementary Post Adoption Training lesson, provided by Planet K9 Dog Training School. As well as covering basic obedience and canine manners, the session provides a tutorial for new owners. It’s a much valued opportunity to seek advice on some of the challenges of settling a new dog into its new home. After their lesson Grant, Jane and Nicole felt that both Astro and Buffy needed further support and training, so they continued their lessons with a seven week Basic Manners course. They then decided to join the ‘Small Paws’ playgroup which is held on the first Sunday of every month at The Lost Dogs’ Home in North Melbourne and gives little dogs the chance to mingle and play. “It’s such a brilliant program. It’s more about them in this case, and we think it’s great they come here for the socialisation, to meet new dogs, and in Buffy’s case, to get her more and more used to other dogs, sights and sounds. Everything is like a first experience for her, which is sad, but she seems to take it in her stride,” said Grant. The ‘Small Paws’ group is also a great social get together for owners, who enjoy afternoon tea and a chat with fellow dog lovers. Nicole charges a small fee to attend the ‘Small Paws’ group. She and the group then donate the money back to the Home to fund additional Post Adoption Training lessons for those dogs that need more support than one lesson can provide, and whose owners would struggle to pay for the additional training. Grant and Jane will keep bringing their dogs to the ‘Small Paws’ monthly group – soon to be fortnightly, says Nicole, because they’ve seen such an improvement in their dogs’ personalities and behaviour. For information on joining the ‘Small Paws’ group go to the Planet K9. There are many other dogs like Buffy and Astro who are in desperate need of a loving new home, who after a rough start deserve a second chance in life. You can view dog and cats available for adoption on our website. All dog and cats at the Home have been temperament and health tested, are desexed, vaccinated, wormed and microchipped. Remember all dogs also come with one free obedience lesson with Planet K9. Don’t forget to do your Pet Licence first before you come into the Home to make sure you will be a responsible pet owner and to receive a discount off the adoption cost (available at North Melbourne only). If you would like to make a donation towards helping to turn lives around for dogs like Astro and Buffy please go to our donation page.